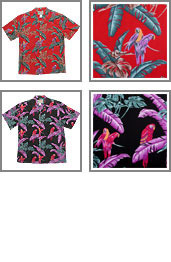 This Jungle Bird shirt was made famous by "Tom Selleck", in the 1980's Hawaiian detective television series, Magnum P.I. 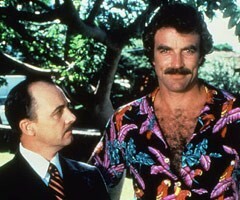 Selleck wore both the black and red shirts. As the show became more popular they started buying fabric from Paradise Found and had the shirts re-created by a tailor for a perfect fit for Tom. The Original Magnum P.I. 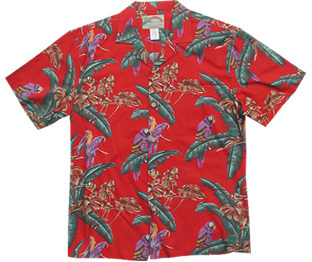 rayon red Jungle Bird shirt was presented to the Smithsonian National Museum of American History on Wednesday morning, June 22, 1988. Here is a slideshow of that eventful day from the Smithsonian Institute's archives The Jungle Bird shirt, two blue Detroit Tiger baseball caps and the gold naval insignia ring worn by Tom Selleck now reside in the Smithsonian's collection of American Entertainment memorabilia. 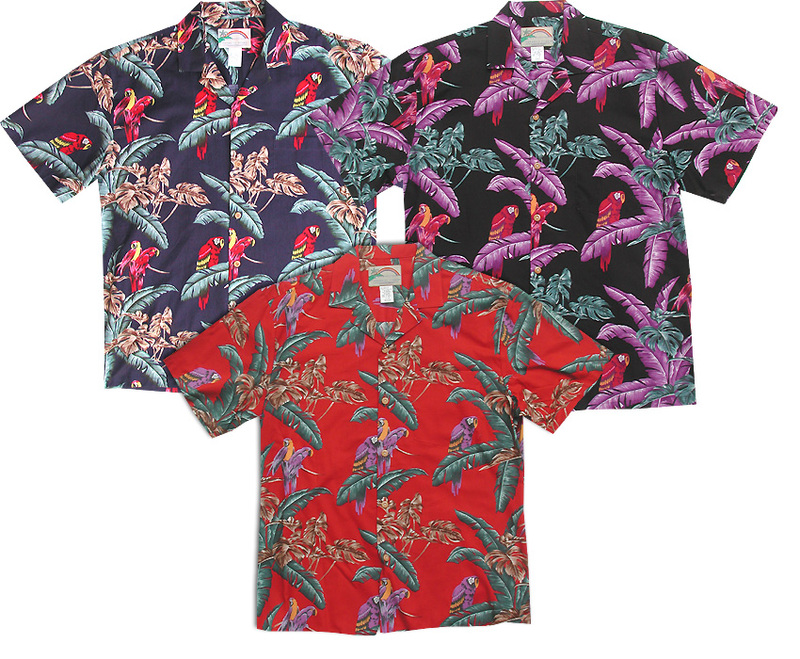 Paradise Found, the Honolulu clothing company, makers of this shirt, have sold more than 225,000 Jungle Bird shirts since 1981. Click HERE for an IMAGE GALLERY to view a Tom Selleck Hawaiian Shirt Gallery and a brief History of Magnum P.I..